The manufacturing industry is leveraging technology to optimize its business like never before. 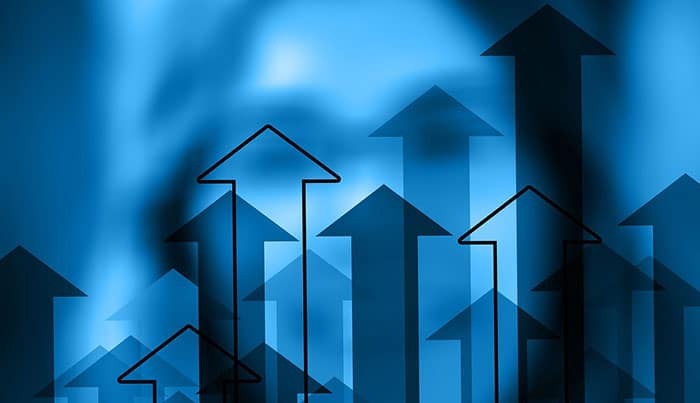 And our case study implementing Salesforce CPQ with Saint-Gobain is no exception to the trend. Saint-Gobain, a construction materials manufacturer, asked Simplus to implement CPQ in order to streamline a previously cumbersome sales process and to minimize pain points. 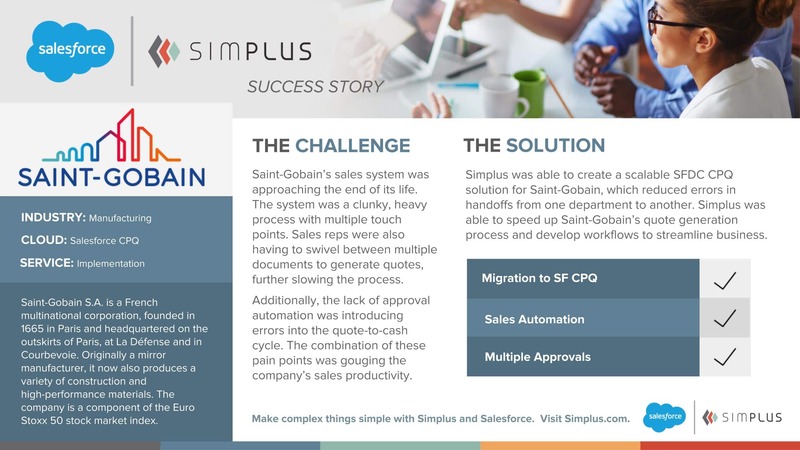 Simplus created a scalable Salesforce CPQ solution. This solution eliminated errors involved in handoffs between departments at Saint-Gobain, sped up quote generation, and overall streamlined the business with pristine workflows and approval setups. Overall, a great example of how manufacturers can scale easily with the right technology and the right partners.